Providence, on his real name Costin Iordache, was born in Bucharest, but at only 4 years he moves near Frankfurt, in Germany. His childhood was inevitable influenced by the electronic music, which at that time the main roots of techno were set up. Techno and rave were the main genres in that time, and today you can see the influence and the aggressivity in some passages from his present sets. The artists who influenced him we can say that Robert Hood, Dr.Motte, Ben Klock, Thomas P.Heckmann, Rhadoo were the main ones. 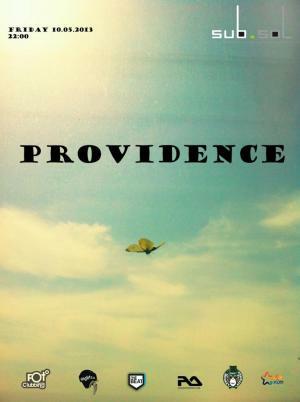 "Providence" Party in Bucharest. You can get here description, reviews, address, time and details of "Providence" Party in Bucharest. Visit Bucharest Tips for more Party events in Bucharest!